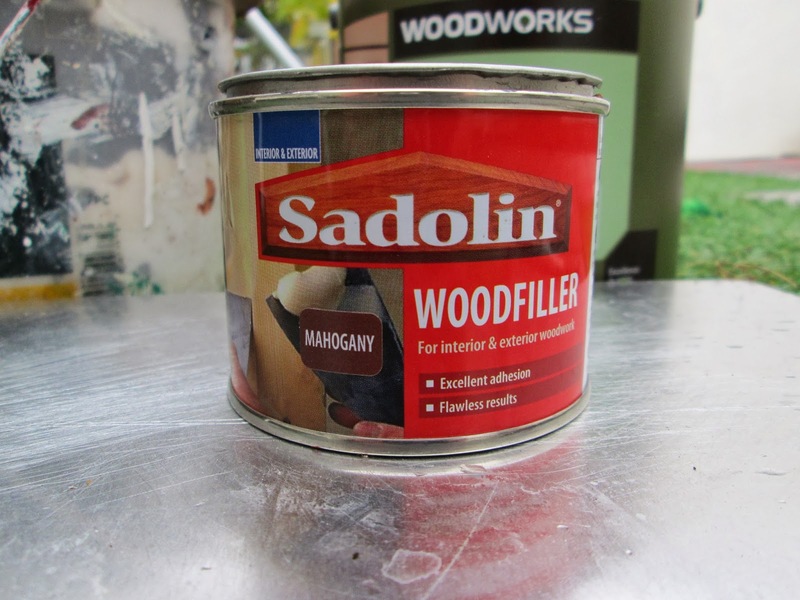 A REVIEW OF SADOLINS WOOD FILLER QUICK DRYING MAHOGANY FILLER. simple to use straight from the tin to save time when filling small imperfections to a surface prior to using a water or oil based wood stain. When used it is best to apply a good hour before you need to stain your surface as it does dry very quickly in normal conditions and it dries very hard. Slightly porous when dry and sanded, unlike an epoxy two pack filler which can be too smooth and impervious! This filler when over stained has good key which is important to prevent flaking or splitting .